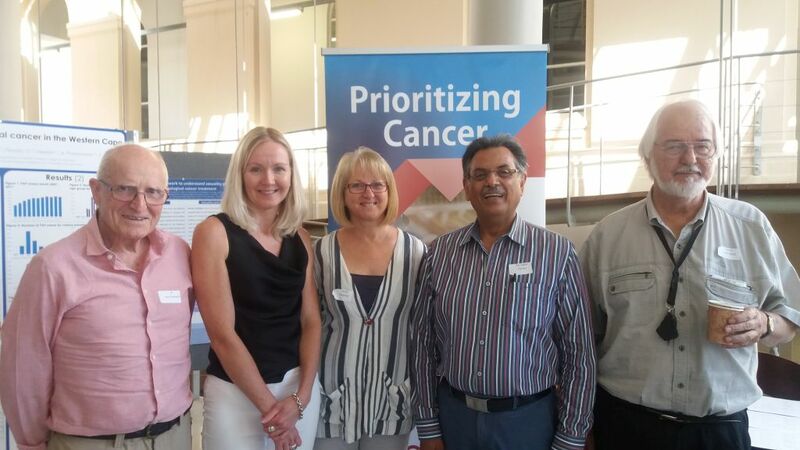 The Cancer Research Initiative at the Faculty of Health Sciences (CRI), University of Cape Town hosted a Cancer Research Symposium entitled ‘Prioritizing Cancer’, co-funded by CANSA on 17 February 2018. The aim of the CRI was to foster integrated, interdisciplinary research to address the growing cancer burden. Professor Jennifer Moodley, director of the CRI said, “Cancer is a growing public health issue – even in Africa. Collaborative research is key to addressing the complex challenge of cancer.” The objectives of the symposium were to encourage collaboration, showcase cancer research in the Faculty of Health Sciences, identify gaps and areas for future research, and create networking opportunities. CANSA’s Head of Research attended the event and a CANSA exhibit table on research was hosted at the event. The symposium was well organised and attended with 120 delegates. The programme was full and included presentations from researchers in a range of fields of cancer research. In addition, UCT cancer researchers showcased their research through poster presentations and displays. This was an excellent opportunity to profile CANSA’s role in funding cancer research in South Africa and several Type A researchers, past and present, gave presentations at the event. There were also some international speakers who were in South Africa for the ESMO conference. CANSA’s Head of Research also had the opportunity to talk briefly about CANSA’s funding programme and priorities. An important outcome of this meeting will be to identify areas of need as well as opportunity, and in addition, to encourage collaboration and reduce duplication of effort. Find out more about accessing CANSA Type E grant funding.